Most Internet Marketers seem to think of website promotion as just submitting to search engines, directories, link building and advertising in ezines or banner exchanges. To ignore the value of off-line marketing is to leave 65-70% of the money to be made from your website on the table. Let your local papers know that you have an unique product that will benefit the local community and you are able to help them save time, learn more and be more effective in their daily lives. 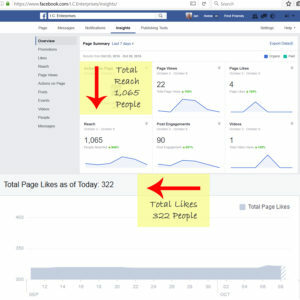 This could lead to an interview with a local reporter or even with a national with your website product as a featured item and will drive people to at least see what the buzz is about. At the very least it will create an awareness of your domain name or product in their sub-conscience mind. Find a a local business that is related to your product and offer them a discount voucher to give their customers for your product. Hand out flyers with a special offer in the high street or find shops that would allow you to leave them on the counter for customers to pick up. Send fax broadcasts to businesses that could benefit from your product. Some companies have lists of fax numbers and can send out the fax for a small investment. Investigate the possibility of sending out Press Releases to the local media. Send them your product for review. Get a well known celebrity to endorse your product. I am sure you can think of many other ways to use off-line marketing, other than sticking notes on power poles to create an awareness of your site. DOh! It’s just so easy to forget about all the things we ‘traditionally’ did. You’ve inspired me Ian, so thatnks for that. 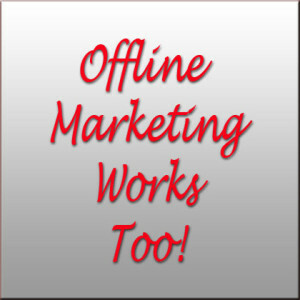 Online marketing has to be married to offline marketing. I have always felt that way, and that is why I network in person frequently. Your suggestions are right on! So happy to read this. As a newbie to social media marketing for my new online jewelry business, I havent seen anything about traditional marketing. Good to know someone doesnt think it should be ignored. I think that it’s a hard time promoting website off-line. Like for example, most of the people now would just read news online, checking online magazines and even don’t have any time to listen to radio’s cause they can just easily download songs via online. Nevertheless, regarding with this, I think they’re still people who read newspaper, checking magazine but I think not all.